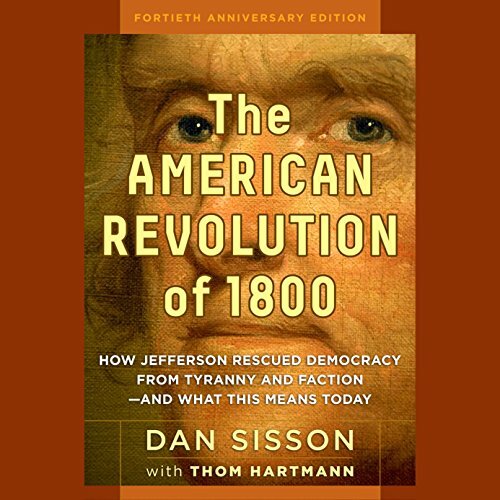 Showing results by author "Dan Sisson"
In this brilliant historical classic, Dan Sisson argues that Thomas Jefferson thought democratic revolutions would be necessary from time to time to break the grip of autocratic factions on the government. That is how Jefferson saw the election of 1800 - and the lessons for today couldn’t be more obvious. Most historians celebrate Jefferson’s victory over Adams in 1800 as the beginning of the two-party system, but Jefferson would have been horrified by this interpretation.